From HVL main gate, L on Alpine past Golf Course, R on Heidi Haven, L on Cravenhurst, on R. Sign on. Ranch in great condition! Features open flr plan w/vltd ceilings & transom windows thru-out! 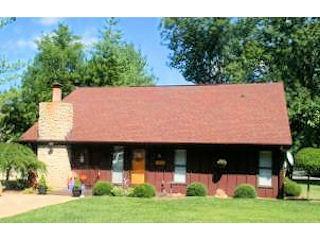 Stone FP in GR, cherry kitchen, screen porch & spacious deck w/water features. Storage shed. Large lot big enough to build a garage. 1 yr home warranty. NOTE: This property was sold on 10/31/2016 and is no longer available. The details listed below are believed accurate to the date of the sale and are subject to change.